Guest: Dr. M.V. 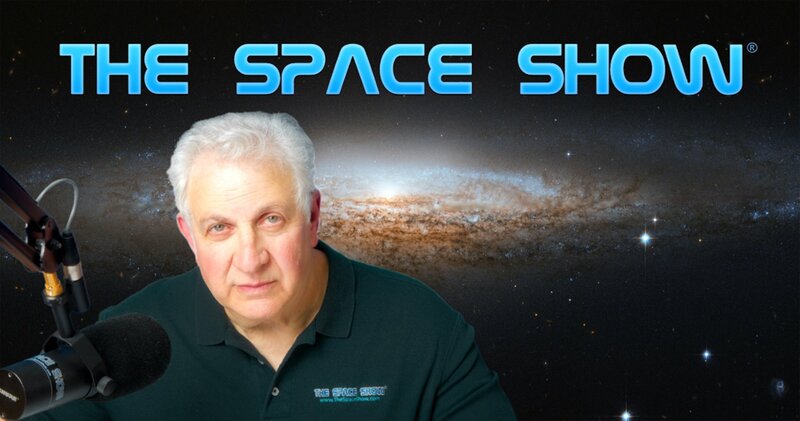 "Coyote" Smith, Col, USAF RET; Topics" The proposal titled "America Needs a US Space Corp." Please direct all comments and questions regarding specific Space Show programs & guest(s) to the Space Show blog which is part of archived program on our website, www.thespaceshow.com. Comments and questions should be relevant to the specific Space Show program. Written Transcripts of Space Show programs are a violation of our copyright and are not permitted without prior written consent, even if for your own use. We do not permit the commercial use of Space Show programs or any part thereof, nor do we permit editing, YouTube clips, or clips placed on other private channels & websites. Space Show programs can be quoted, but the quote must be cited or referenced using the proper citation format. Contact The Space Show for further information. In addition, please remember that your Amazon purchases can help support The Space Show/OGLF. See www.onegiantleapfoundation.org/amazon.htm. We welcomed retired USAF Col Dr. "Coyote" Smith back to the show to discuss his proposal for a US Space Corps. You can read and download his proposal, "America Needs a US Space Corps" at https://warisboring.com/america-needs-a-u-s-space-corps-ab79bebe93eb#.k8kpx2jwo. During the first segment of our 1 hour 46 minute discussion, Dr. Smith outlined his proposal for a US Space Corps, explained why it was needed, and what was wrong with our existing space systems including US Space Command, USAF space systems including education, DOD space concerns, National Security Agency space concerns, and the lack of factual knowledge about the role of space being told the general public. In addition, during this segment, Coyote provided us with a brief history of space command development in the US, the Air Force, and with other agencies. He also stressed that his proposal was just an initial step in a program of evolution, one step at a time. James sent in an email asking Coyote about enforcement using Navy warships and planes as an example of how the Navy enforces freedom of passage and more. Don't miss what Coyote said in response to the questions by James as he had much to say about enforcement, the USAF command structure and support for a US Space Corps, along with other national agencies. Our first caller was Richard Easton who wanted to know if Russia and China had a space corps or if they were developing one. He also brought up the topic and role of GPS in developing a US Space Corps. Coyote and Richard had a good mini-discussion about GPS and space development, commercial usage, and national security. Before the first segment ended, Coyote talked about congressional established priorities, what happens to the space budgetary funds, especially if a crisis develops, plus the resources spent on air power as compared to space power. In the second segment, we took a call from Dallas asking about the type of fleet a US Space Corps would likely have. Coyote and Dallas had a great discussion about this saying that as the program developed, there would be fuel depots, space tugs, possible tourist rescue capability, plus maneuverability with orbits which we cannot do at this time. Coyote said it would include Earth-Moon cislunar development. Coyote then spent some time going over what his three requests from congress would be which he spelled out, then his three requests from the President of the United States which he also spelled out. Don't miss these details. Coyote went on to talk about property rights and commercial development along with the Outer Space Treaty. You do not want to miss what he said should be the future of the Outer Space Treaty (OST). Kim called from Mexico and referenced the Somali pirates as an example of what she want to talk with Coyote about. Again, don't miss this conversation. Jamming was discussed throughout our program. Kim suggested redundancy was one of the best ways to avoid jamming. Coyote offered up more information on this subject. Marshall called and wanted to know if there would eventually be a separate educational institute for space like we have with the other military services. Eventually their might be an independent Space Academy but until that point in time, Coyote put forth some ideas on how to increase space education compared to what is available today. Near the end of our program, Joshua asked about the role of NASA with a US Space Corps. Coyote suggested a couple of paths for NASA. See what you think about what he suggested. Right before the program ended, Coyote talked about the need for establishing space based solar power (SSP). He said the SSP business case was not there yet but was getting closer. He had much to say about this and the role SSP should be playing in our future. In his closing comments, Coyote said that a US Space Corps was for all law abiding, freedom loving nations in space. He said it was there to insure and protect life, commerce, free access, and such. It was not meant to be an American military organization. Please don't miss his closing comments. Post your questions/comments on TSS blog for this program. You can reach Coyote through me and your blog comments. America Needs a US Space Corps!